NASA has announced the discovery of Earth’s cousin, Kepler-452B in deep space which is also most likely to be inhabitable. Many are already terming the planet as Earth 2.0 as it being extraordinarily similar to our own planet. Kepler-452B is in solar system similar to ours and orbits a sun-like star once every 385 days. The new planet is 1.5 times larger and is also older than Earth lying in the Constellation Cygnus. How the planet looks is not clear yet but according to NASA the planet is most likely to be a rocky one capable of supporting life. The planet’s Sun is 1.5 billion years older than our own which is growing hotter and brighter year by year. With so much resemblance to our own planet, the SETI Institute is now looking out for signals from the planet for any signs of life – so far returned with nothing. The planet could have active volcanoes, water and plants on the surface. 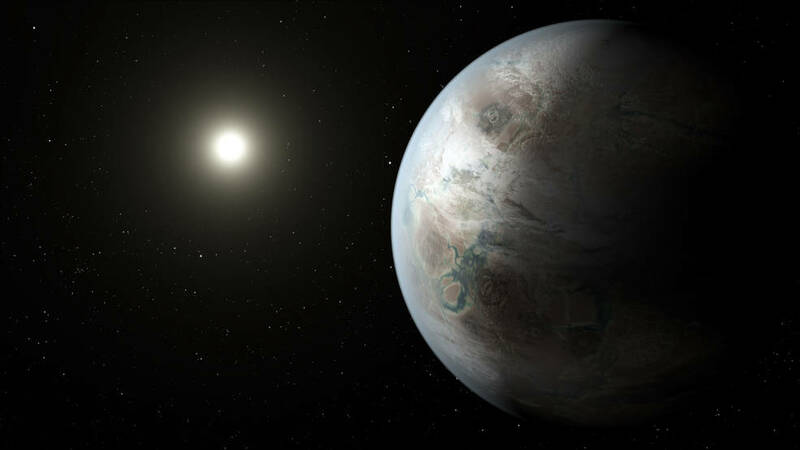 So even if the planet is habitable, let’s ask the million dollar question: How long would it take to reach Kepler-452B? Only if we can travel at the speed of light, can we reach the planet in 1,400 years. Now this is up to NASA to create something as fast as the speed of light. How soon in the future would we be able to get something there, like a probe or a camera? That’s a hard question to answer. We’re taking steps there as fast as technology will permit.. Just the speed that a spacecraft could get there, even if was travelling near to the speed of light, would take many decades but we can tell a lot from telescopes closer to earth. We could make the first primitive maps of an earth-like planet. That’s a very exciting prospect, and those kinds of telescopes might be able to do that as well.